The new Canon imageRUNNER ADVANCE C355P is a high speed Colour A4 third generation of the imageRUNNER ADVANCE platform offering a print only solution. The iR-ADV C355P offers network print with true Adobe and has the full imageRUNNER ADVANCE technology fully MEAP enabled and an essentail part of a network fleet using Output Management software sucha s Uniflow or Papercut. 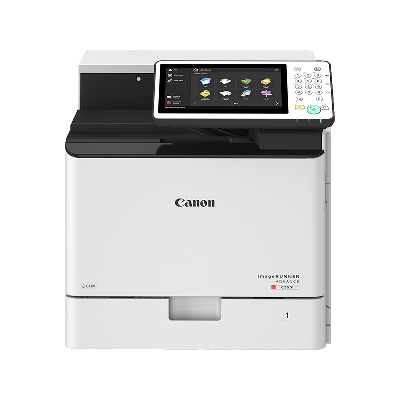 The Canon imageRUNNER ADVANCE C355P is built on tried and tested Canon technology and encompasses a whole range of new features. For more information on the Canon iRAC 355P please do not hesitate to contact our helpful sales team on 0800 1244 199 or	email us.